Conti CrossTrac. Simply keeps going. The new Conti CrossTrac tire line has been designed based on the latest truck tire technology and Continental's long-standing experience, knowing that the tire needs to cater to the requirements of very different applications. The result is balanced flexibility with outstanding durability, traction and robustness for harsh off-road conditions as well as a smooth performance on the road – a tire line as flexible and adaptive as your business requires. 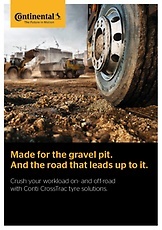 Plus, with Continental premium tires, you benefit from a complete solution for your business: Conti CrossTrac tires are ideally suited for ContiConnect™ and ContiPressureCheck™ digital tire-monitoring solutions. And once they're worn down, they will get a second life as part of the ContiLifeCycle™. With their enhanced chip, chunk and cut resistance, Conti CrossTrac tires prove to be real workhorses in all off-road applications and under severe conditions. Conti CrossTrac tires perfectly meet all your on-road requirements: they deliver high mileage, smooth handling and reduced fuel consumption. Smart in a tough way. Heavy-duty traction and versatility. Usually, traction-optimized treads with wide grooves lead to more and faster wear on dry paved roads. But with an innovative tread design and state-of-the-art compounds, the new Conti CrossTrac provides the ultimate balance between pit and paved-road performance. Conti CrossTrac HS3 tires feature an optimized four-groove design with large ribs for equalized pressure across the footprint. The excellent abrasion properties perform incredibly on paved roads as well as on loose surfaces. 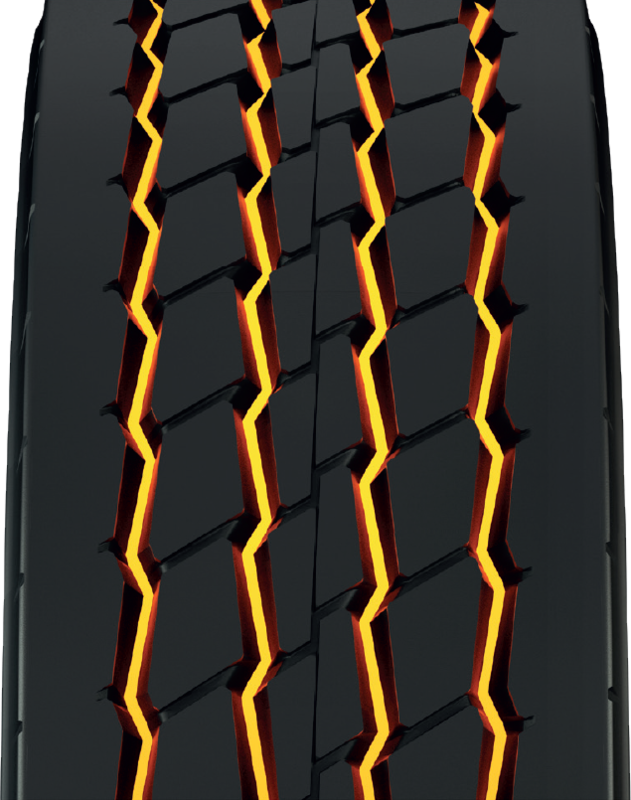 Conti CrossTrac HD3 tires provide a directional pattern for excellent on- and off-road wear performance and traction. Conti CrossTrac HT3 tires feature an extra-sturdy and abrasion-resistant shoulder design for added lateral stability. The flexible tread center adapts to all surfaces and minimizes the dangers of tearing or puncturing. A distinctive type of activated carbon black in the compound mixture ensures impressive cut resistance and stability against punctures. An extra-high amount of natural rubber guarantees outstanding robustness and chip and chunk resistance. Blending different compounds for the cap and base allows conflicting application requirements to be balanced out. 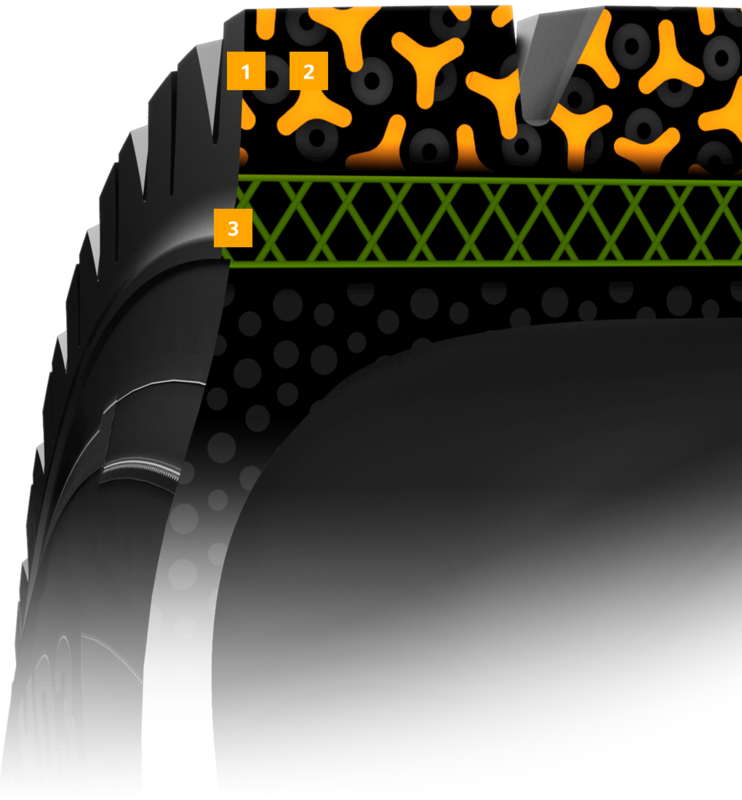 The base compound is optimized for low rolling resistance, whereas the cap compound is designed for optimum traction.